Lai Bhari has special screening in Mumbai. Bollywood actor Riteish Deshmukh hosted a special screening of his upcoming Marathi movie ‘Lai Bhari’ at Sunny Super Sound on July 9, 2014. 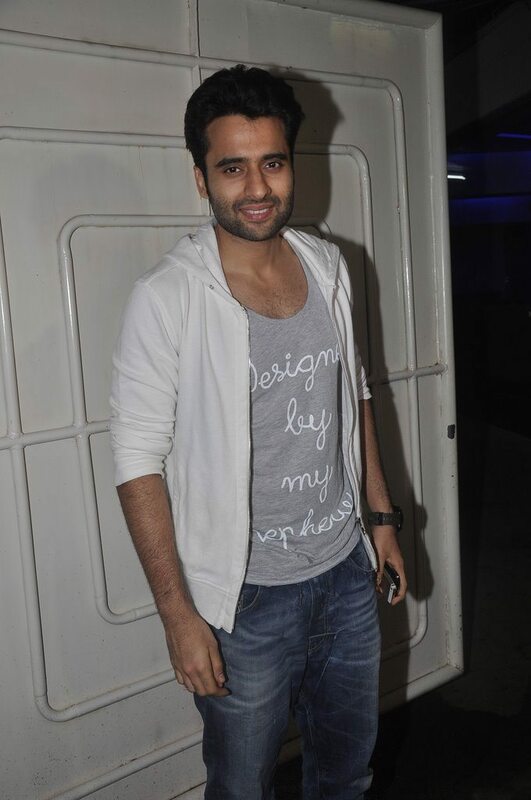 The special screening was attended by Riteish’s wife Genelia, mother Vaishali Deshmukh and brother Dheeraj Deshmukh. Veteran actor Dharmendra was also a part of the event. 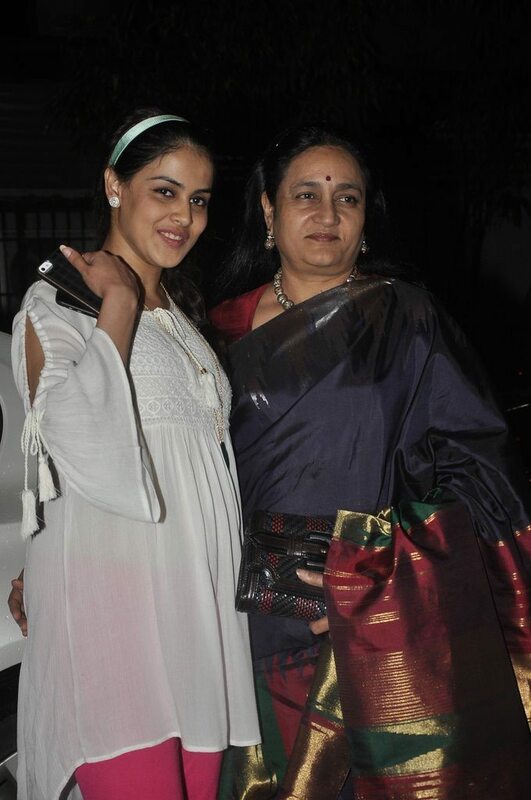 Mom-to-be Genelia, looked pretty in a white top and pink pants. ‘Lai Bhari’ is a Marathi movie which is produced by Jeetendra Thakeray, Ameya Khopekar and Genelia Deshmukh. The movie is directed by Nishikant Kamat and this will be the first time Riteish Deshmukh will be seen in a Marathi movie. ‘Lai Bhari’ will hit the silver screens on July 11, 2014.